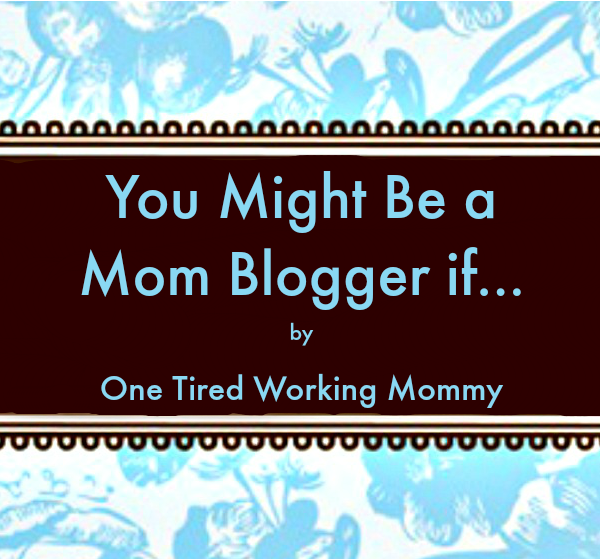 All Mom Bloggers share a lot of common traits. Here are some ways to know when you have graduated from just getting started to full Mom Blogger status. You might be a Mom Blogger if you have your iPhone camera on at all times because any second your child is going to do something cute, funny, or insane and you don’t want to miss the perfect photo op which will make the perfect post. ~Oh look, my teenager just fell in the trash can! Whoo hoo! You might be a Mom Blogger if you tell your children to repeat what they just said so you can get the quote perfect when you put it on Twitter. Oh, and of course your Twitter account is linked to your Facebook account so a tweet is instantly shared on your Facebook page. ~Mom, dad just said I am well hung. What does that mean? You might be a Mom Blogger if your e-mail account is filled to bursting with e-mails from people you have never heard of and they all want you to review their page/product/website/etc. and they would be ever so grateful if you would write a review for them and then share it on your blog site. ~Hi, I just invented a faster way to grow tomatoes. I am sure your followers are just dying to hear about what I am selling. You might be a Mom Blogger if you spend hours and hours scouring Google images, someecards, and other sites looking for the perfect jokes to share on your blog’s Facebook page. ~Booyah! I just found another “Keep Calm” joke to add to the 500 other ones I have already collected. You might be a Mom Blogger if your blog has a Twitter account, a Google+ account, a Facebook page, an Instagram account, a Bloglovin account, and a Pinterest account and you view checking in on these sites multiple times a day as work, not “surfing the web.” ~Honey, do you think you might be getting off the computer today. I need my underwear washed and the children are hungry. You might be a Mom Blogger if you think Pic Monkey is the greatest website ever. Jelly on your child’s face, a huge zit on your teenager’s nose, click, click, click, and suddenly everything is picture perfect. 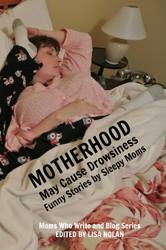 ~And the eye bright is a miracle worker at getting rid of the bloodshot in a tired mom’s eyes. You might be a Mom Blogger if you carry a note book with you at all times to write down that idea that just popped into your head and you know you can turn it into a post somehow. ~Target just started selling Barefoot wine in single serve bottles!! Hell yes!! You might be a Mom Blogger if your best ideas pop in your head just as you are about to fall asleep and suddenly you are up looking for a paper and pencil to jot down a few notes because you know you will never remember it in the morning. ~Hold on honey, in a minute. I just have to write this down! You might be a Mom Blogger if you spend real money purchasing digital fonts and “boosting” your Facebook page. ~$20 for five fonts, sounds good to me. $5 to boost this original joke, why not. You might be a Mom Blogger if you are guilty of letting your children play video games for five hours on a beautiful summer day because you were on a roll and didn’t want to stop the literary process before it was truly done. ~Mom, I am tired of playing my Wii, can I have my iPod. Yeah, whatever. Finally, you might be a Mom Blogger if your heart does a somersault when you see that someone actually left a comment on something you posted! It does a second somersault when that comment is actually a positive one! ~Whoo hoo! A comment!! Honey I just got a new comment!! Why are you rolling your eyes at me? This is important damn it!